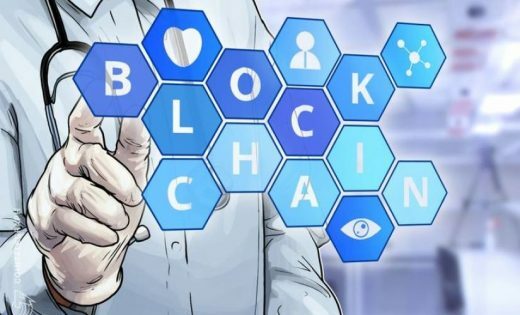 Blockchain has become a hot topic of discussion these days as it has made its way into a number of industries. From finance to infrastructure, blockchain or distributed ledger has found interoperability in every sphere of work. Healthcare is another realm that has found a widespread implementation of the technology. This collaboration has changed the way patient healthcare data is shared across entities in the value chain. We are shaping healthcare ecosystems with blockchain. In this distributed network of computers, a group of members or users can share health data, information, or scans etc. The sharing is basically classified as peer-to-peer transactions that are structured into a block that contains cryptographic hash. This digital information is shared onto a stored ledger which is open to all members of the network and yet ensures security. Though the process sounds simple the main catch is that these shared ledgers of records and transactions can neither be deleted or edited without the prior consent of other peers in the network. When a peer sends information to another peer over the network, the same is validated by every member of the group. The approved transaction then gets added on to the record of existing transactions. The implications of blockchain in the realm of the healthcare industry are widespread. As there are a number of departments catering to different healthcare treatments within an integrated practice unit (IPU) such as dieticians, obstetrics. It becomes difficult to get access to all the information when needed. To overcome the shortcomings, blockchain technology facilitates interoperability by sharing the data of different physicians. It has the power to connect all the fragmented systems to generate quick and better results similar to a distributed network of systems. For instance, patients with similar chronic conditions such as Chronic Gastritis are identified and doctors identify their treatment plans also referred to as IPUs. Through the open ledger, smart contracts are created and treatment responsibilities are shared through distributed networks. Similarly, patients can collate their health data tracked over medical devices. This collaboration enables unique opportunities in healthcare, and a secure and immutable way to share information. Why Blockchain is the Solution. For patients, their health database security and confidentiality are essential. However, as data is tangible, it can be accessed in bytes and bits that sometimes compromise its authenticity. Data that is available on a computer can also be tweaked as any administrator who has access to the network or files can edit and corrupt the file. With blockchain, these shortcomings are eliminated. The biggest catch of blockchain is that it lacks a central administrator. Users have access and full control over their data. With blockchain, the access to confidential patient’s data can be streamlined and this will eliminate duplication, errors and other discrepancies that may occur with traditional data storage. The smart contracts application will be the need for intermediaries to manage contracts. How Blockchain Fits with Healthcare. Blockchain application will enhance the healthcare ecosystem as a whole. This is mainly by the elimination of third parties and middlemen’s. Moreover, a number of challenges which the industry faces such as fragmented data, security among others can be completely eliminated. The authentication controls of shared transactions lower the risk of data thefts and other frauds. Below table provides an insight into how blockchain will complement the healthcare industry. ·Access to fragmented data ·Secured access to distributed patients health data through shared ledgers that are distributed over the network. ·Interoperability of systems ·Decentralised network that is connected and can be operated across geographies. Considering the complexity of the healthcare sector, the usage of blockchain will be enormous. Looking at the huge potential that blockchain has, it will be the next big innovation that will transform the sector. Healthcare providers need to fully roll out the technology to achieve synergies and optimize service delivery. Emma Salvador, a masters in computer science has a knack for computer technologies. She has over 15 years of experience in systems security and IoT. The post Shaping Healthcare Ecosystem with Blockchain appeared first on ReadWrite.